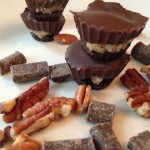 healthy peanut butter cups | Whole Food. Real Food. Good Food.